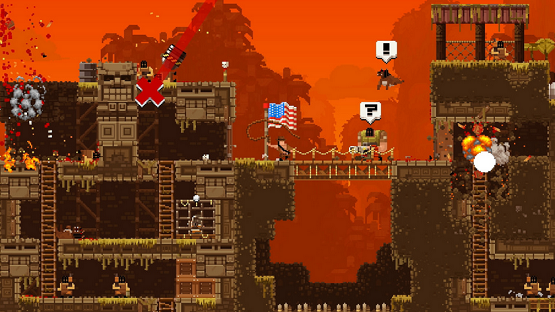 Broforce doesn’t include a Platinum. See what’s coming next month. Other two titles will have PS+ discounts at launch. 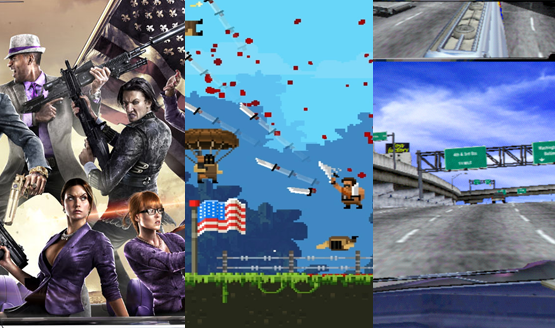 Action Henk, Assault Android Cactus, or Broforce? 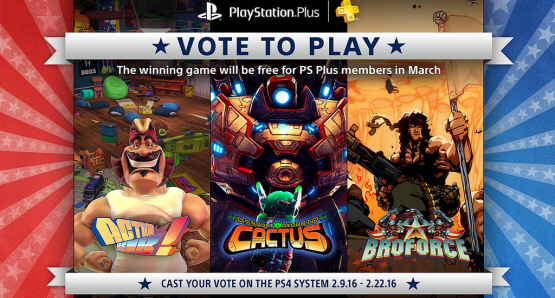 Choose between Action Henk, Assault Android Cactus, and Broforce. New Call of Duty: Ghosts Personalization Pack coming; Divekick: Addition Edition announced for PS4/Xbox One.